In 1976 Jigsaw puzzles appeared on the market under the brand name "Impulse". 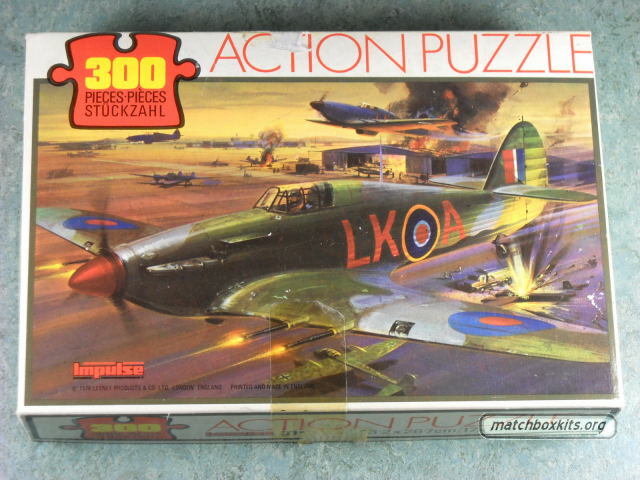 Impulse featured "action puzzles" which consisted of a selection of Matchbox boxart as drawn by Roy Huxley. These typically depict the early types of boxart when the display of violence was not yet removed from anything considered a toy. Hence "action" puzzle.